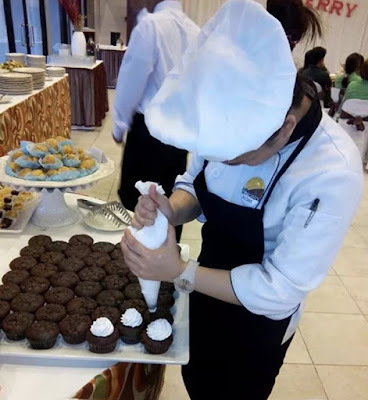 Anihan 2013 graduate, Regine Ferreras, is the Kitchen Supervisor of Dalcielo in SEARCA Residence Hotel. Anihan Technical School 2013 graduate, Regine Ferrreras is from Canlubang, Laguna. Her father works as a tailor in Makati and her mother is a housewife. When Regine was enrolled in Anihan, her four other siblings were also still studying and it was only her father who was working to support them. At present, two of her siblings have also finished vocational courses and it was Regine who helped them with their employment requirement expenses. 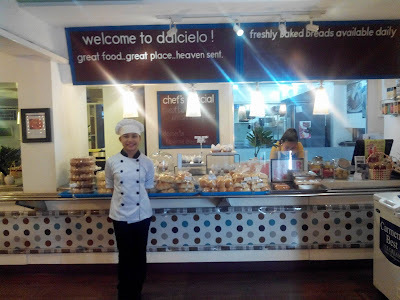 Regine Ferreras Kitchen Supervisor of DALCIELO in SEARCA HOTEL, UP Los Banos. Regine did her on-the-job training in Dalcielo in Los Baños, Laguna from November 2012 until March 2013. She was assigned in the pantry department where she was in charge of preparing side dishes. Dalcielo employed Regine right after her graduation and now, she is the Kitchen Supervisor of the Dalcielo branch in SEARCA Residence Hotel in UP Los Baños. With her work, Regine has been helping her father send her two younger siblings to school. At the same time, Regine is an active Anihan Alumna who supports Anihan's fundraising activities as much as she can. Regine preparing cupcakes for a buffet.